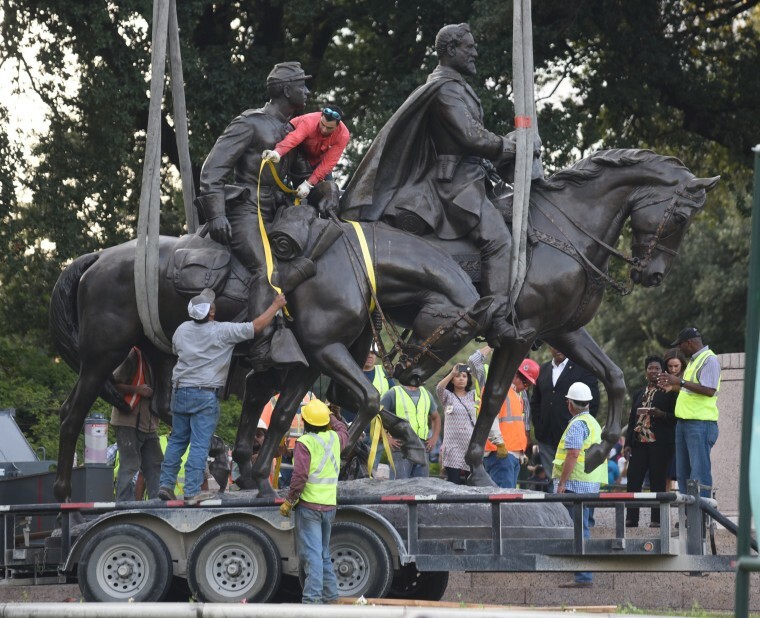 DALLAS — Crews arranged by Dallas officials removed a statue of Robert E. Lee from a pedestal Thursday and carted it away from a park named for the Confederate general. The statue was lowered onto a flatbed trailer for transport to an abandoned naval air station owned by the city on its western outskirts. It's expected to remain there until city officials decide the statue's future. The Dallas City Council voted Sept. 6 to remove the statue but was met with a series of delays, including a brief court stay obtained by a pro-Confederacy group and a collision between a semitrailer and a crane assigned to remove the statue. The truck driver was killed.